“It’s exciting to find a fully functioning biology lab in the middle of an engineering school,” we remarked as we navigated past busy benchtops filled with state-of-the-art equipment. Developing the next generation of multidisciplinary innovators: Starting with the Applied Bio-Microfluidics Lab. 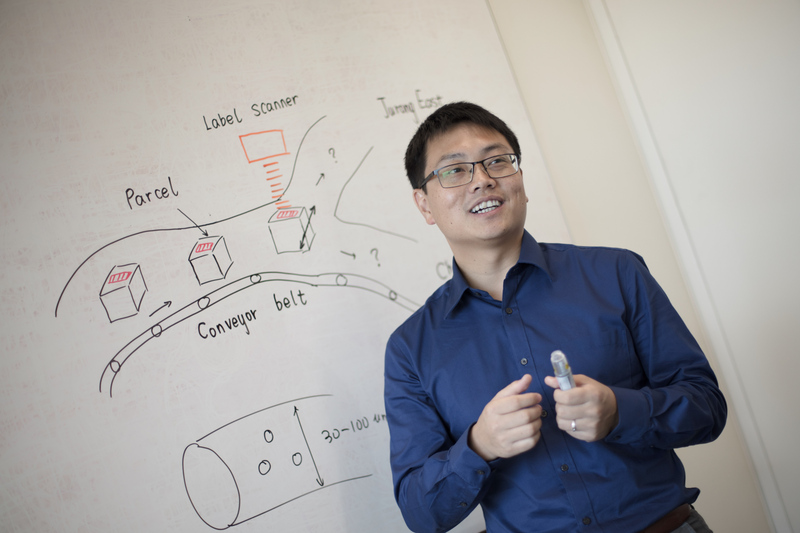 Dr Ye Ai, Assistant Professor from the Engineering Product Development (EPD) Pillar, is a profoundly passionate biomechanical engineer who found fascination in the manipulation of “many tiny things that cannot be observed with the naked eye” – biological cells and DNA molecules. 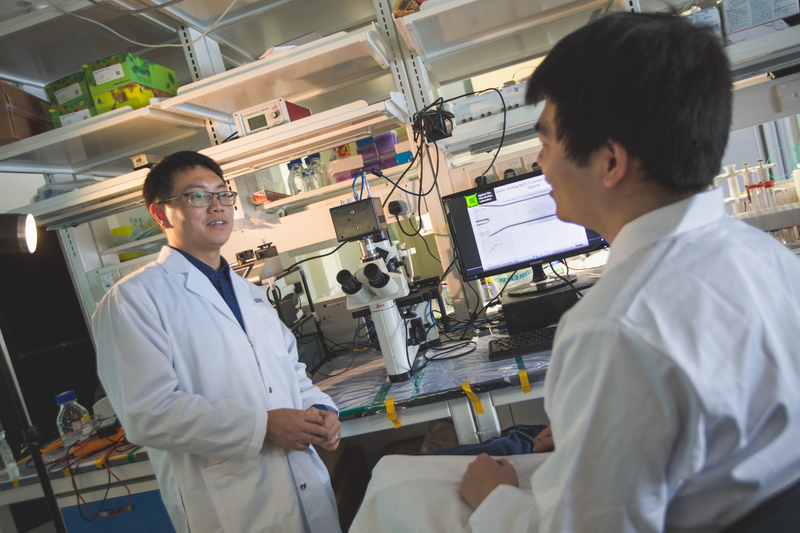 Today, he leads SUTD’s Applied Bio-Microfluidics Laboratory, the brick-and-mortar manifestation of his multidisciplinary belief and capability. He oversees a team of nine researchers (a mix of PhD students, postdoctoral fellows and research assistants) – a group that he hopes can both grow from his guidance, and at the same time, be independent critical thinkers. 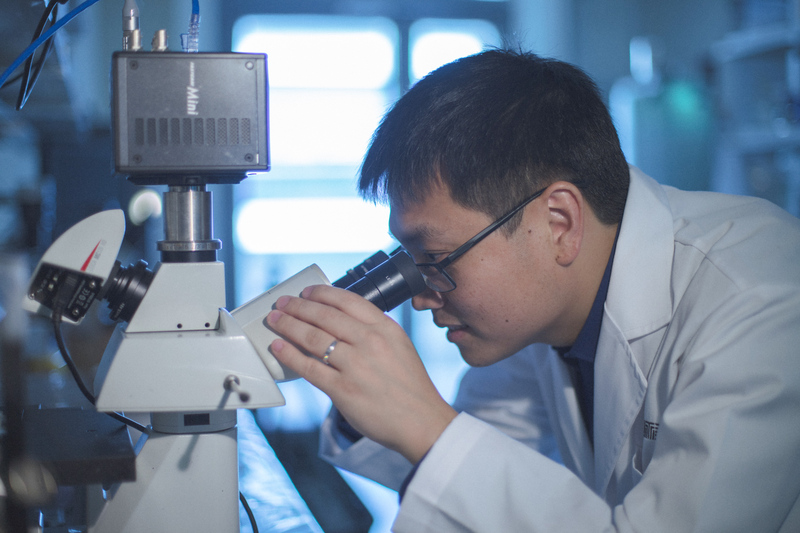 As its name suggests, the lab’s research focus lies in the area of microfluidics. 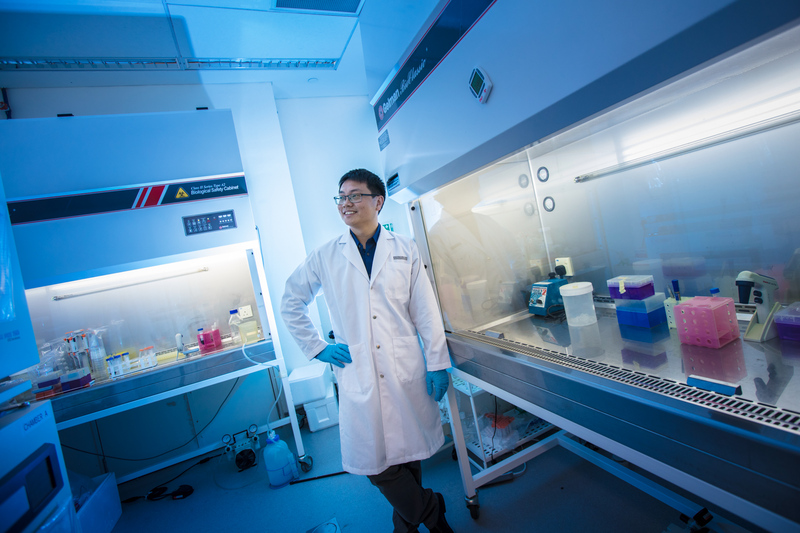 “It’s the use of systems or devices to study the unique behaviours and interactions of fluid and particles at a micro- and nanoscale,” Dr Ye Ai defines. Breaking new grounds in single cell level sorting technology. 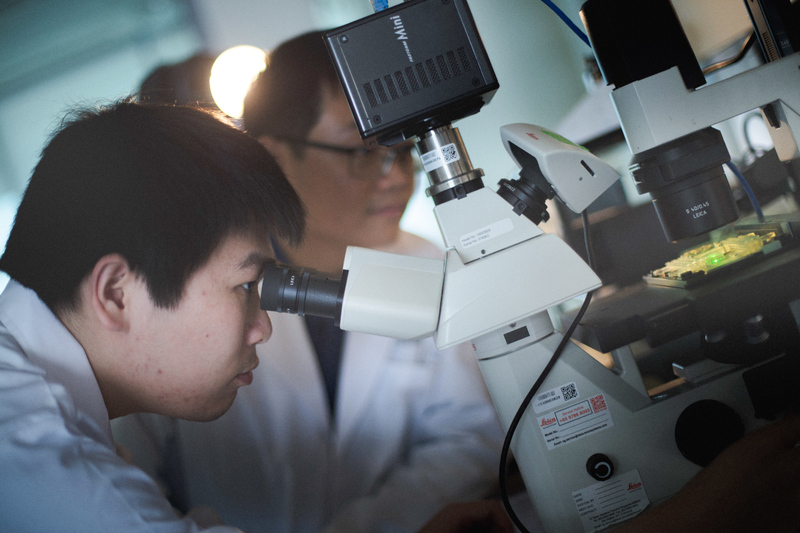 The team, with Dr Ye Ai at the helm as Principal Investigator, recently published breakthrough research in the area of single cell level sorting technology, highlighting the team’s effective use of sound waves to manipulate single biological cells in microfluidic environments. The study garnered worldwide attention from the scientific community and was featured in several world-class publications like the Physics Review Letters and Lab on a Chip. How single cell level sorting technology can advance DNA sequencing and influence the future of cancer treatment. For decades researchers raced to understand the human DNA, particularly in the area of cancer research, where we know genetic mutation forms the underlying cause of the malignant disease. Producing sound waves that can manipulate microscopic biological cells: How knowledge from different disciplines shape innovative solutions. One significant aspect of Dr Ye Ai’s research centres on the use of sound waves to manipulate biological cells in microfluidic environments. While the idea of using acoustics for particle manipulation is not new, few have overcome the process of producing acoustic beams precise enough to manoeuvre micron-sized particles in the desired patterns. Dr Ye Ai and his team are among the first to find a way around it. 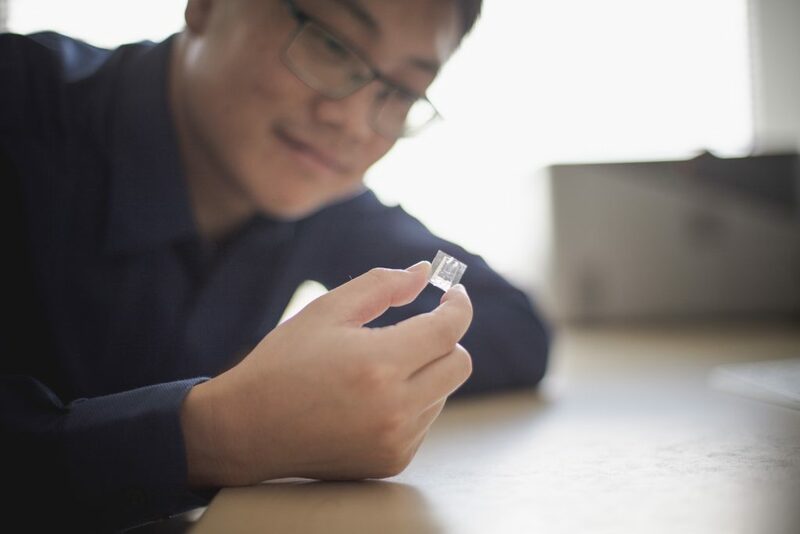 “Our key innovation has been to produce highly localised acoustic beams which are about the size of a single biological cell,” Dr Ye Ai explains. That’s about 50 microns wide – or a quarter of the diameter of a human hair. 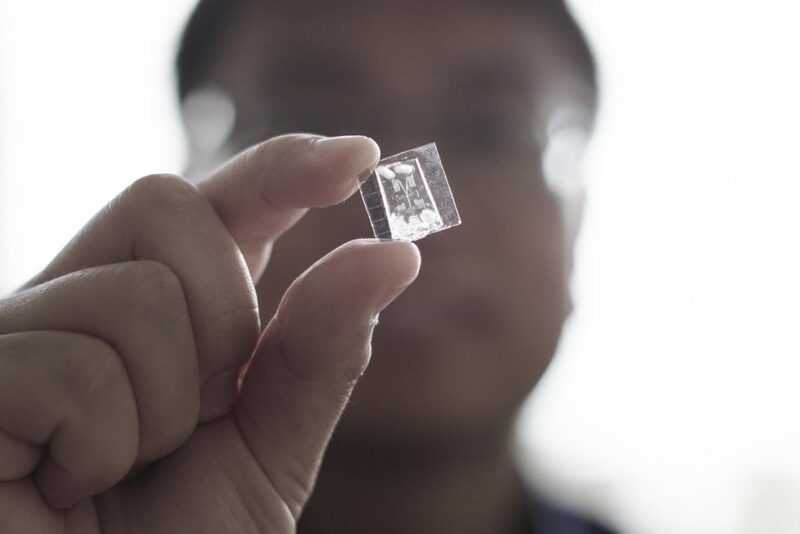 To produce this microscopic beam, Dr Ye Ai and his team had to develop new transducer designs. Transducers are devices that convert one form of energy to another or in this case, turning electrical energy to sound. But the team did not stop there. Using the micro-channels in confined microfluidic environments, they effectively guided the acoustic beams, giving them control over particle placement. 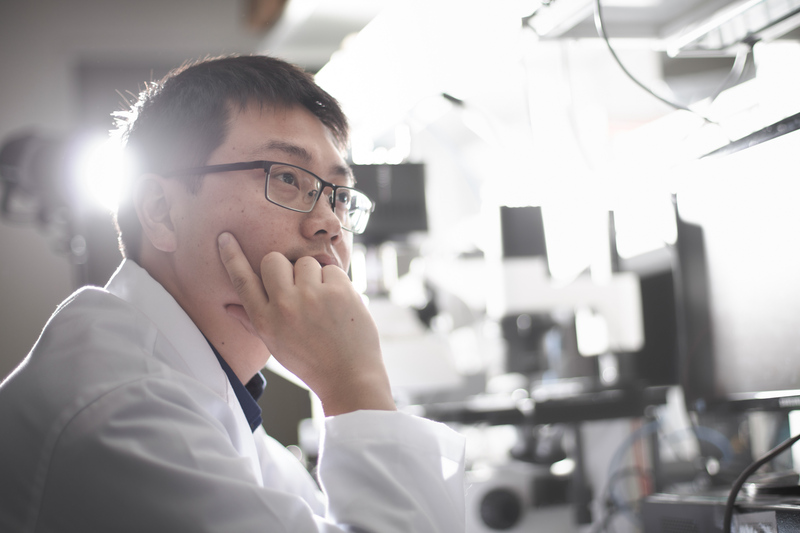 With such level of precision and localisation, Dr Ye Ai is hopeful that his cell sorting innovations would be able to target a single cell within a cluster of a million. 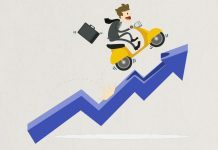 “To put this simply, imagine that you’re a courier company,” he illustrates as he started drawing on the whiteboard in his office. “Imagine these parcels are cells; the conveyor belt here represents the channels we create,” he continues. Just like how we would tag our parcels, the team typically tags the target cells with fluorescent labels before injecting them into fluids that will channel them to a detection unit. There, target cells are identified, triggering a focused acoustic beam to deflect the target cell to the right collection channel. Microfluidic biophysical phenotyping – towards a label-free single cell identification process. 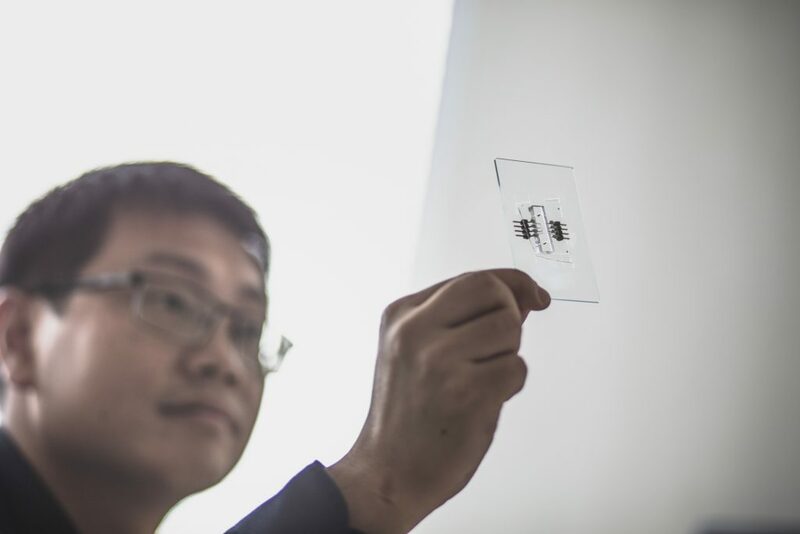 To do this, the team designed a special microfluidic device that subjects a single cell to both electrode impedance and cell deformity (through a microfluidic constriction) tests to obtain important data on its biophysical properties. This data is what Dr Ye Ai terms as “biophysical biomarkers” – information that is unique to each biological cell. 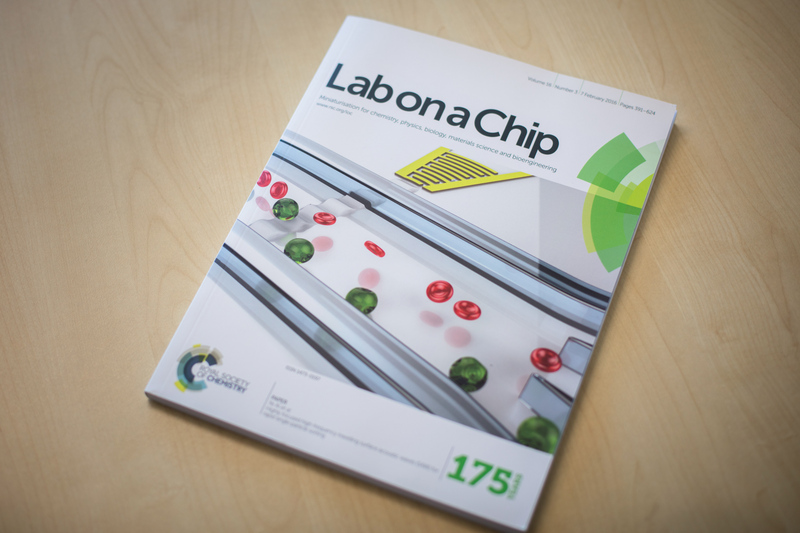 From laboratory to market – the potential of the team’s single cell level sorting technology. “I do believe that single cell level sorting technology has a great market potential. 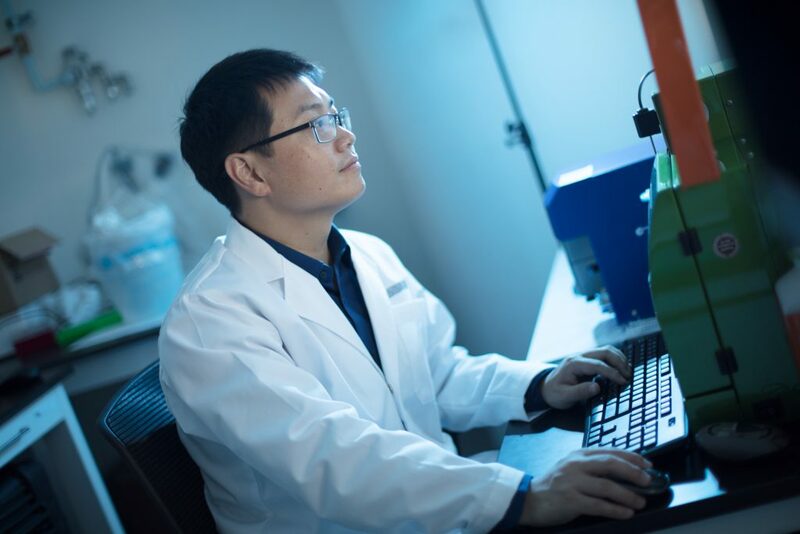 When we published the single cell sorting technology paper, it was featured by more than ten scientific portals, and we received many enquiries about this technology worldwide,” Dr Ye Ai recounts. 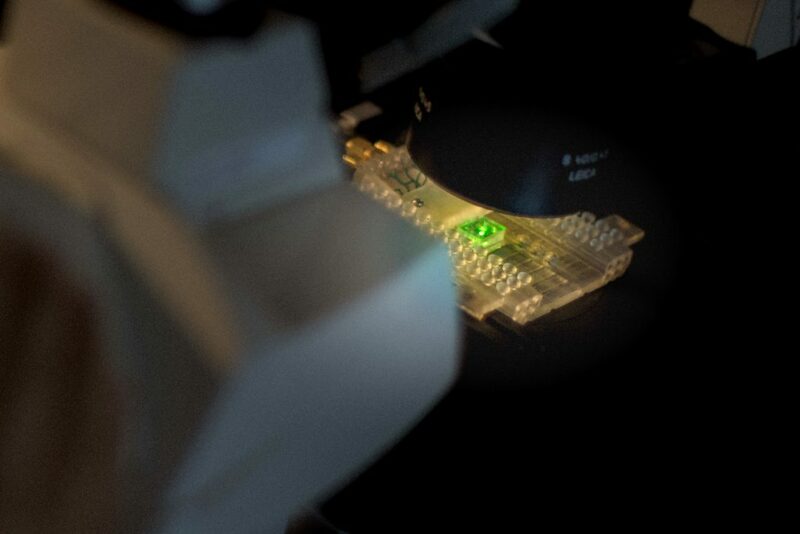 Lab-on-a-Chip: Where all cellular action takes place. Just before we closed the interview, we got Dr Ye Ai to show us the actual environment where all the cellular action he so vividly describes takes place. 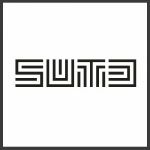 He obliges with a laugh and pulls out a transparent Nano SIM-like chip from a workbench. It’s a minuscule device called Lab-on-a-Chip (LOC). “It uses microfluidics technology,” he explains. “The basic idea is that it integrates entire biological, chemical and medical labs into a single microchip platform. It helps a lot, especially when it comes to automating traditional biological assays involving the manipulation of small amounts of liquids into microchip platforms.